Canada’s recent legalization of marijuana creates a conflict with a U.S. federal law that prohibits the export, import, sale or transportation of items deemed to be drug paraphernalia. The law reaches broadly to items for the production, harvesting, packaging, distribution and use of marijuana, potentially inhibiting companies focused on marijuana production and processing activities. The precise reach of the law is ambiguous and lacking clear definition, but there are a few measures companies can take to ensure compliance with the paraphernalia statute and to avoid seizures and penalties of merchandise. First, companies focused on the marijuana sector should review their product offerings to determine which ones are safe and which ones could be deemed prohibited paraphernalia. What is defined as prohibited paraphernalia? The reach of the law is broad. Congress originally enacted the statute to give U.S. enforcement authorities the ability to seize not just controlled substances, but also items primarily intended or designed for a variety of drug related activities, such as production, manufacturing, preparing and ingesting controlled substances. The U.S. Supreme Court has interpreted the phrase “designed for” to mean that items principally used with illegal drugs by virtue of design features are paraphernalia under U.S. law. An otherwise standard pair of scissors, for example, is not transformed into drug paraphernalia just because it can be used to trim a cannabis plant. Such items can be freely sent across the U.S.-Canada border. Where an item might arguably be prohibited paraphernalia, companies should proactively engage U.S. Customs and Border Protection (CBP) to find out the status of that item under the statute. Second, the marijuana industry can gain clarity on what is prohibited paraphernalia by asking CBP to issue a prospective ruling. CBP rulings will provide certainty as to the status of each item subject to such a request and, ultimately, CBP’s determination controls with respect to an import or export. This step should be taken prior to any transaction that is questionable under the paraphernalia statute to avoid seizure and potential criminal penalties. CBP has legal authority to inspect all U.S. imports and exports for potential violation of federal law. If CBP considers something to be prohibited drug paraphernalia, CBP can seize the items, initiate forfeiture proceedings and initiate criminal penalty proceedings against the parties involved in the transaction. The CBP rulings issued to date suggest that parties can influence CBP’s decision by producing evidence showing that an item is not primarily for marijuana applications. Third, recent trends suggest that the scope of what falls outside of the paraphernalia statute may be significant. 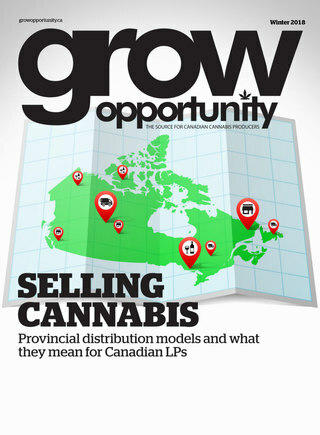 In particular, legalization of a broader scope of cannabis derived products under federal law suggest many production- and process-related products fall outside of the statute. Recent changes to U.S. federal law that permit increased hemp production also raise questions as to the scope of permissible and impermissible cannabis production and processing activities. For example, if a product is designed specifically for harvesting a cannabis plant, is that product in a safe harbour under the new law or does it remain prohibited drug paraphernalia? CBP has taken the position that U.S. state-law developments in permitting wider use of marijuana products have not changed the scope of the federal paraphernalia statute. CBP maintains that the U.S. Constitution, under the Supremacy Clause, displaces state laws that would otherwise authorize transactions relating to drug paraphernalia. Until CBP provides greater clarity however, companies would be wise to take a risk averse approach, and only proceed with cross-border transactions for items that clearly fall outside the ambit of the paraphernalia statute. David Townsend is an attorney in Dorsey & Whitney's Minneapolis office and focuses on advising clients on international trade and transactions, including U.S. economic sanctions, export controls, customs law, and national-security related matters. He also represents clients in antidumping, countervailing duty, and safeguard proceedings as well as matters involving the World Trade Organization and U.S. free trade agreements. T. Augustine Lo is an associate in Dorsey & Whitney's Seattle office who assists clients with U.S. export control matters under the International Traffic in Arms Regulations (ITAR) and the Export Administration Regulations (EAR) and the various sanctions programs administered by the Office of Foreign Assets Control (OFAC). He has also worked extensively on government enforcement actions, U.S. customs compliance matters, and commercial litigation matters.